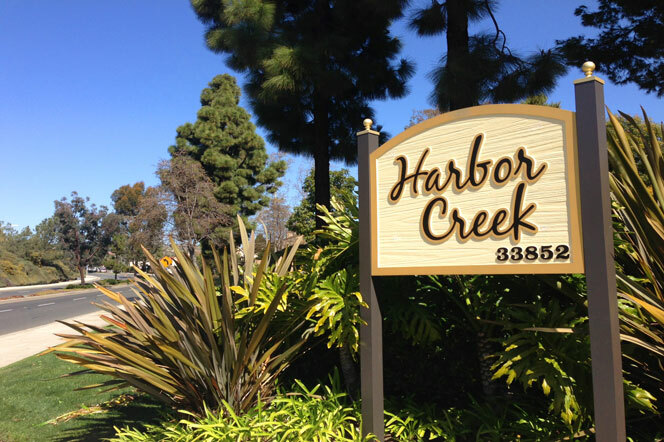 The Harbor Creek community in Dana Point is a great place to find condos in the $200,000 to $300,000 price range located near the beach. The condos are light and bright and wrap around a community creek. The community is under a homeowners association which includes use of the community pool, spa and sauna as well as paying for the water, sewer and trash. Monthly dues average $320 a month. The association does have certain pet rules so check with your local Realtor on the exact regulations. The complex is not FHA or VA approved so keep this in mind when writing an offer. The owner occupant rates are lower than a lot of lenders will allow so this would need to be waived if your loan requires that. All the current available Harbor Creek condos for sale and for lease are listed below. Please contact us with questions regarding any of these properties. The Harbor Creek community is very charming with small creeks and rivers going down the walkways in between the condo buildings. 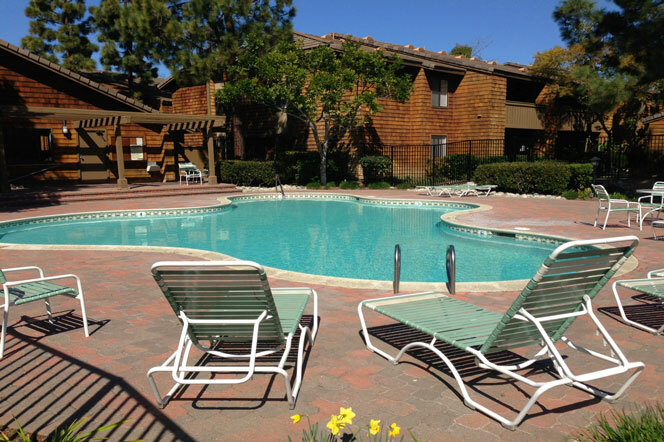 You will also find a very nice community pool and clubhouse located in the middle of the complex as featured below. There is also gated parking and lighted carports as well for residents.